TK-3200 is two station dot matrix printer cash register and possible upgrade the Time Calculate version for Car Parking System. 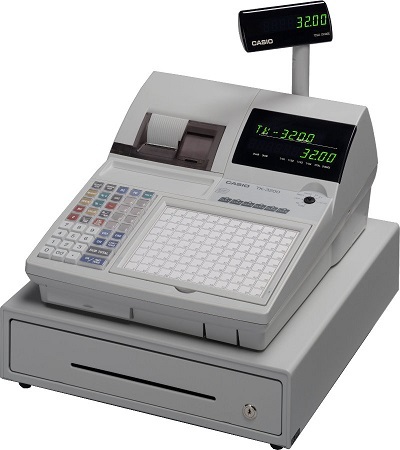 The customer shall proceed with the parking ticket to the operated cash register, the operator enter time entry on ticket, the cash register generates an amount for parking, customer see the amount from customer display and make payment. After payment cash drawer and exit bar opens automatically, and the printer prints the receipt.